Life has been super busy lately - but one can only expect that now that we are a family of five! I have been utilizing the time I have while Cohen is at school to prepare for the upcoming holidays. This year we are hosting two different Christmas event at our house, so we are in planning and preparing mode. 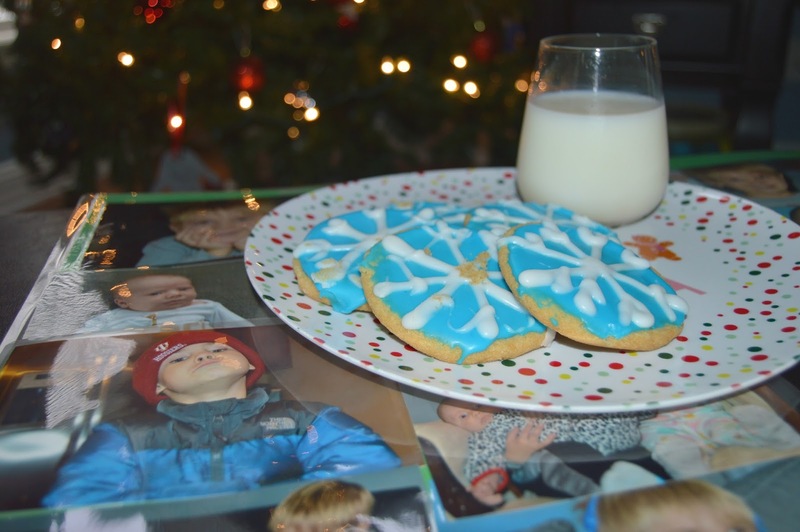 Now that the kids are getting older I have decided to take some time each holiday season to create traditions that we can do each year as well as ones they will reflect upon as they get older. As a child, my sister and I used to make holiday placemats with wax paper and tinsel decorations. 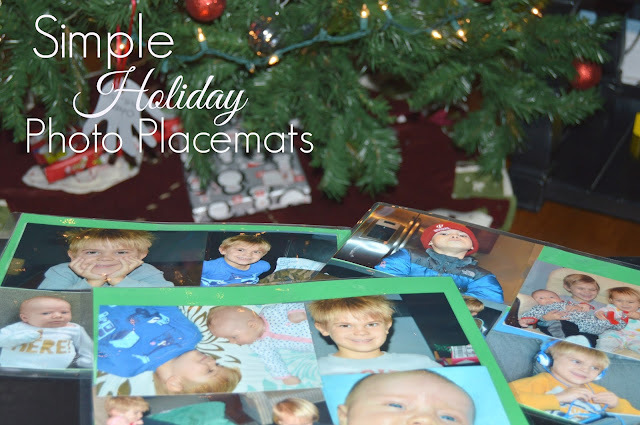 I decided to revamp my traditional craft and start making photo placemats with my kids to use during the holiday season. I figured it would be fun to be able to take the placemats out to look at each year, similar to what we do with our ornaments. I had to go to Sam's Club to get a head start on our holiday food but I also needed to pick up the prints I had made for our placemats. 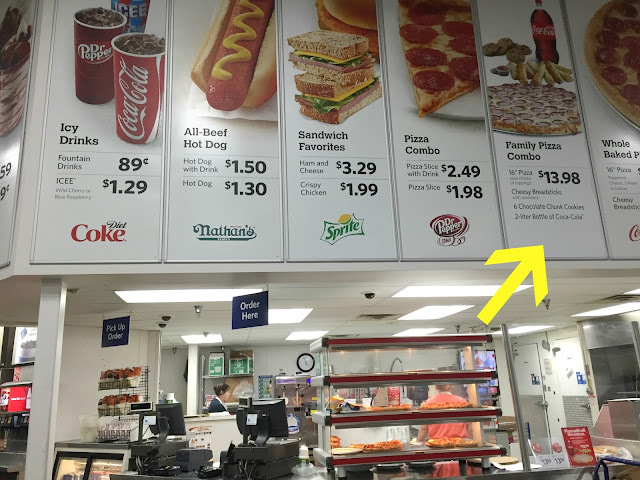 By the time I got to the store it was already getting close to dinner so I decided to grab the Sam's Club Coca-Cola and Pizza bundle from the in-club cafe. 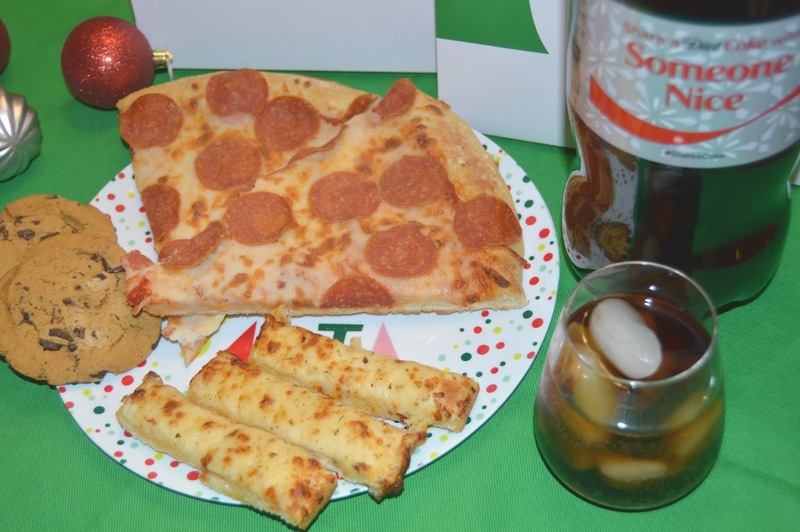 It would be perfect for our family night - pizza and placemats! And for just $13.98 I got a large (16 inch) pizza, an order of cheesy breadsticks, six chocolate chip cookies and a 2-liter of Coca Cola. The great part was I ordered it before I checked out, finished up my shopping and then it was ready for me to pick up and take home. Considering I have been busy getting things ready for this holiday season, it was an amazing deal and I didn't have to cook dinner - double score! Not to mention that my family enjoyed every last bite of that pizza! 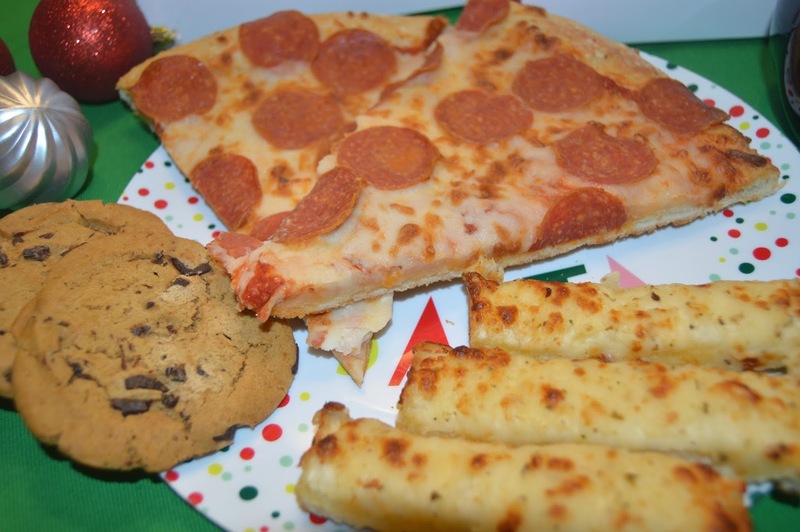 The Family Pizza Combo was the perfect addition to our family night and will definitely remain as part of our tradition. It was like an at home pizza party with fun had by all! 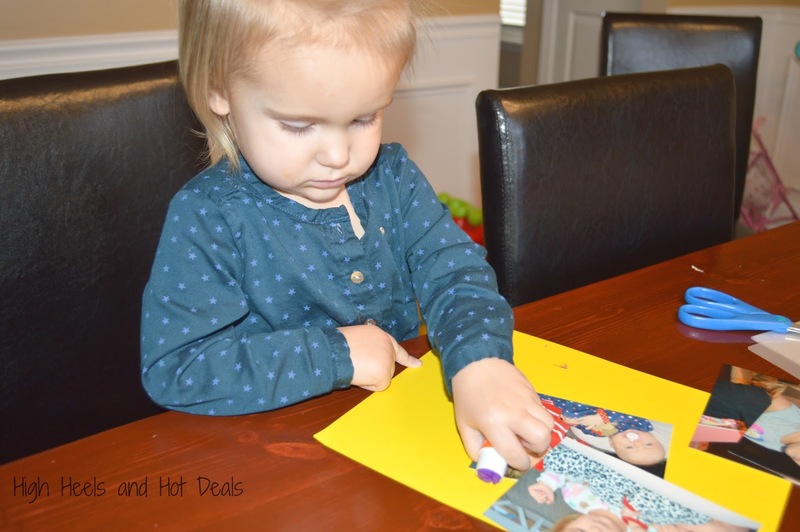 After filling our bellies with the pizza, we got to making our holiday placemats together. Lola but especially Cohen are both really into crafts these days so it was a special project to be able to create together. Typically anything that I can do with them that will keep them busy but also does not make a huge mess is my kind of activity. 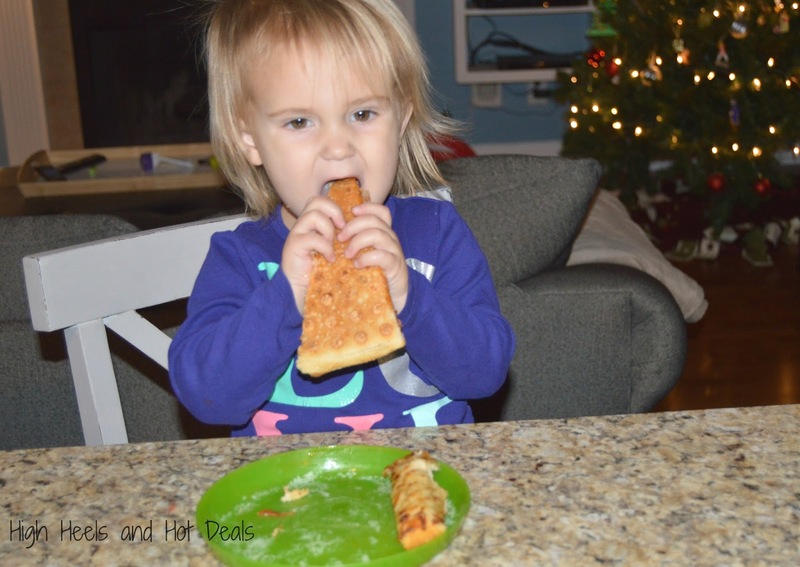 These placemats were a huge hit! It is real east to get started! Be sure to heat up your laminator before you get crafting! Step 1: Choose 4-5 photos. 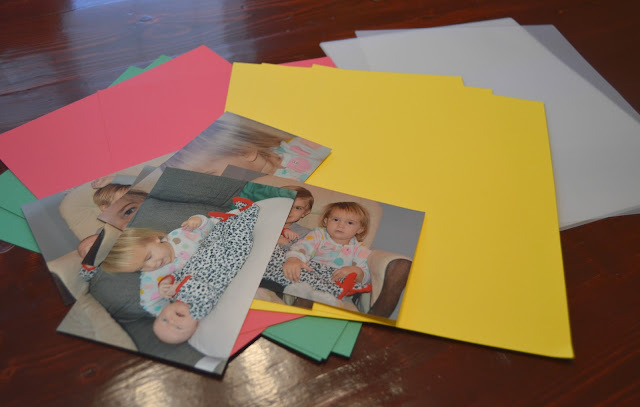 We found that 4 photos fit nicely on the cardstock. You can add more, but you will have to cut them down to fit onto the paper. 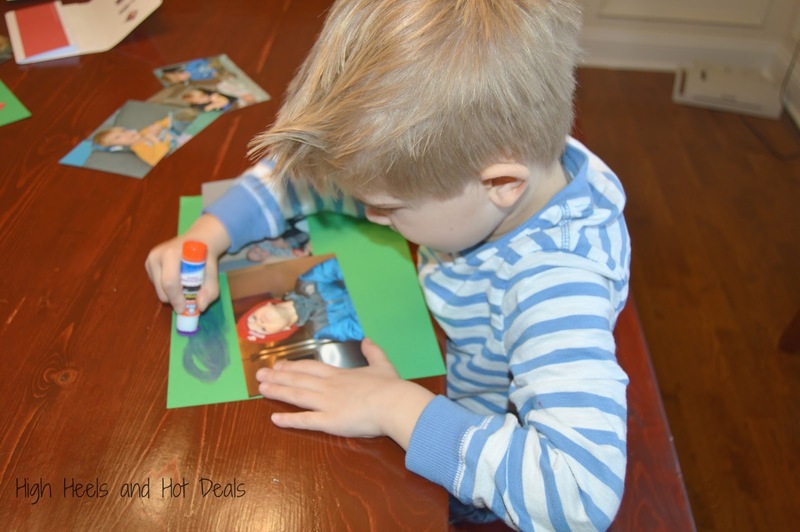 Step 2: Glue your photos down. Make sure you don't have any pictures hanging off of the edges! 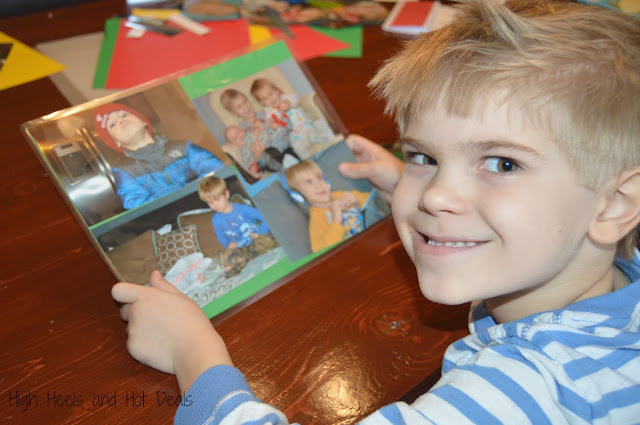 Step 3: Put your cardstock with your photos in the lamination pocket. Step 4: Put the pocket folded side down into the laminator and run it through. You may need to run it through twice to get it to stick, depending on he thickness of your placemat. Step 5: Let your placemat cool down and enjoy! Simplicity is the key, especially with little kiddos. Cohen had a blast and would have made one hundred more if I hadn't run out of pictures. We plan using our placemats during our Christmas Eve dinner but also as a place to put Santa's cookies on. Pizza and Placemat Night was a huge success! Christmas has always been one of my favorite holidays since I was a child. But now that I'm a parent I think I love it even more because I can watch the joy from my own children's eyes and make holiday traditions with my family that we will always remember. What holiday traditions do you have with your family?